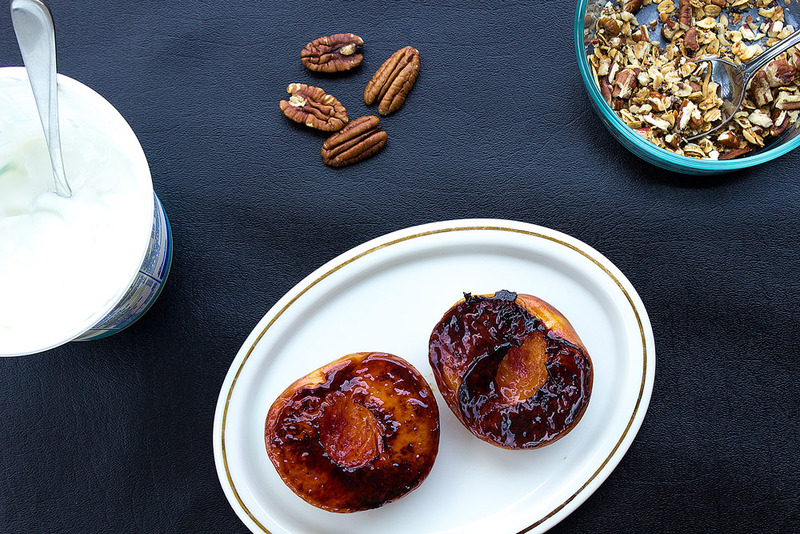 We’ve been going nuts over peaches lately. They are so sweet, juicy, and extra delicious right now as they are in their peak. Do you have a peach that you let sit a little too long? What to do with it? Try caramelizing it! This dessert looks so decadent but it’s actually pretty healthy! You could serve it as a snack or even have it for breakfast (seriously!). Bring a frying pan to medium heat. Add a tbsp of olive oil. Cut a peach in half and remove the pit. Place the peach, insides down into the frying pan. So you should be looking at the peel. Let cook for 8-10 minutes, slowly moving the peaches around so they don’t get stuck to the bottom. Add more olive oil if needed. The peach will get brown and toasty, don’t worry it’s not burning. After about 8 minutes add a tbsp of agave under each side of the peach. Let simmer for an additional 2-4 minutes. 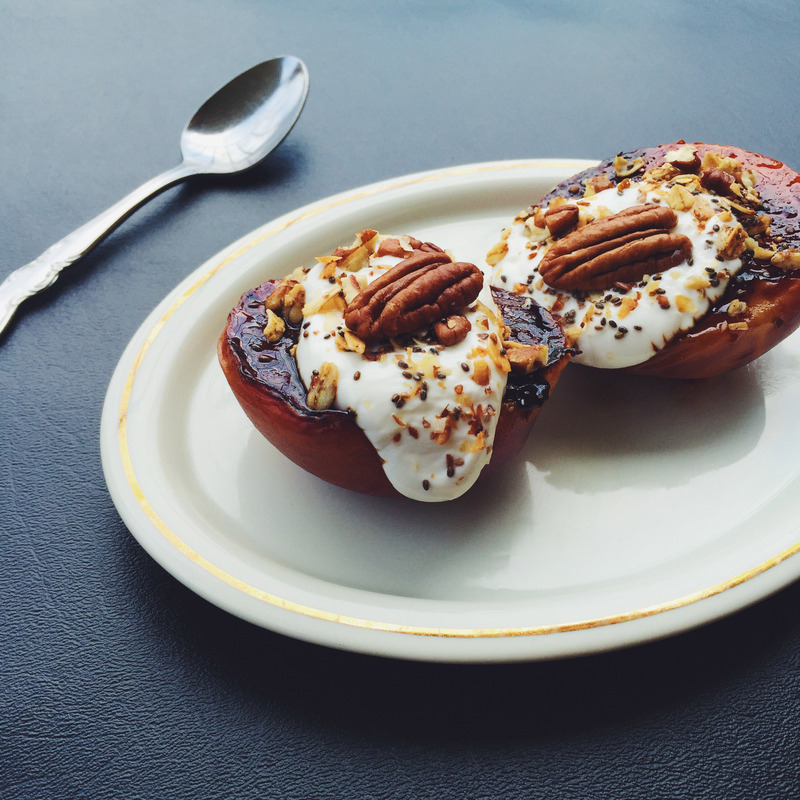 Top with 1 tbsp of yogurt, granola, and crushed pecans on each peach piece. Serve immediately!